We like to keep things simple so that everyone understands what our service will cost and what is included in the service fee. Every property we manage has a designated Property Manager and Account Manager who will be the primary points of contact. Between them they look after day-to-day management, budgeting, contracts, income and expenditure for that property. Our management fee is charged at an annual rate per flat unit managed, not as a percentage of money collected or spent. Our unit rate is adjusted for inflation annually at the end of your property’s financial year using the Retail Prices Index (RPI). Our staff will interpret and work within the terms of the leases and underleases. We are aware of and abide by legal requirements and ensure that landlords, freeholders, Right to Manage Companies and leaseholders meet their responsibilities. Find out more about our Financial and Regulatory Management on our financial management pages. At the start of our management contract we will agree the number and regularity of visits that the Property Manager will make. We welcome members of the building’s committee to join the Property Manager on these visits so that we really understand what needs to be prioritised and also deal with minor issues and repairs as they arise. At the start of our appointment, surveyors from our partner company of Chartered Building Surveyors, Overill Associates, will carry out an initial inspection to programme any necessary ‘major works’ and develop a five year programme of planned works so that there are no surprises. 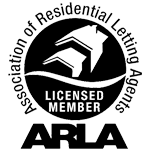 We are very aware of the requirements to keep people informed and to consult with leaseholders for certain items of expenditure, for instance under section 20 of the Landlord and Tenant Act 1985 (as amended by section 151 of the Commonhold and Leasehold Reform Act 2002). We do not charge additional fees for the implementation or organisation of these consultation procedures. We deal with basic legal matters such as, Notices of Transfer, Notices of Assent and Notices of Charge in respect of individual flats. We are also able to interpret the terms of the lease when required. We keep clients informed on changes in legal requirements as necessary. We are able to assist the Freeholder, Right to Manage Company or Residential Management Company with the supervision of caretakers, gardeners and any other personnel employed. Austin Rees Limited are not the employer but will work provide support where required. In carrying out these duties Austin Rees will follow the guidance provided by ARMA in Guidance Note G10 – Employment of Estate Staff. Revised — June 2016. We negotiate and manage service contracts for the building, e.g. lifts, boilers and fire alarms on behalf of the freehold or management company. We also negotiate with fuel companies when required in order to achieve savings. Our senior staff and surveyors are able to offer a number of additional services to complement the day-to-day management of buildings. Fees are either charged at an hourly rate or as a percentage of works value. Preparation of specifications, obtaining tenders and supervising substantial repairs or works. Construction Design and Management (CDM) Coordinator duties for major works projects. Attending court and tribunal proceedings in connection with the property. Answering specific enquiries from leaseholders and prospective purchasers, or their legal advisors, including pre-contract enquiries. No fees are incurred without initial consultation, agreement and instruction from our clients.